Kyiv School of Economics (KSE) is a world-class academic institution ranking among top schools in Europe. 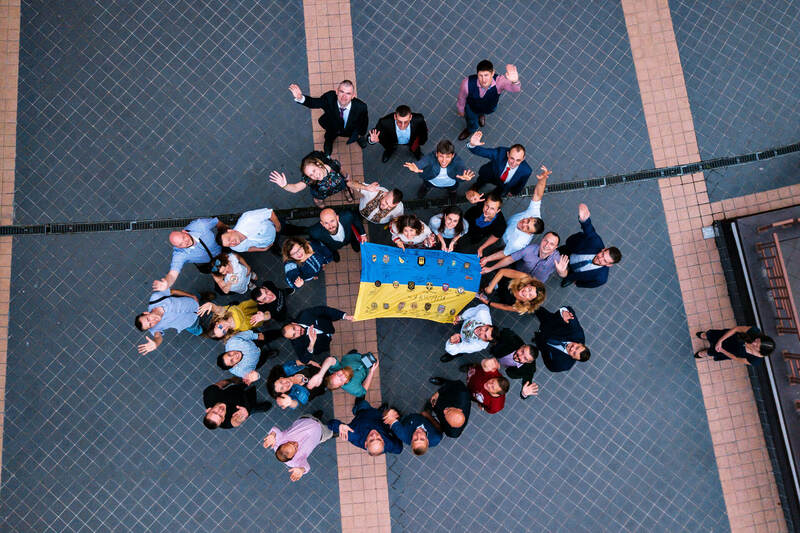 Our goal is to improve economic, business, and policymaking environments in Ukraine by raising new generations of world-class economists and managers, who will become future transformational leaders. On this page, you can purchase the White Book on Reforms 2018, which is an exclusive report on Ukrainian reforms. The book was published in conjunction with the 4th Ukraine Economy Week (UEW). UEW is a succession of the events organized by Kyiv School of Economics, held twice a year in spring and autumn. The book gives an overview of the reforms, implemented in Ukrainian economy since 2014. It consists of two parts. The first part describes the most noticeable reforms in some particular spheres – monetary policy and banking, pension system, education, healthcare, energy sector, land market, law enforcement, procurement and decentralization, with regard to their impact on Ukrainian economy. The second part reveals the risks and opportunities, emerging nowadays. Among the most acute challenges are probable trade war and labor force shortage. The authors: Elena Besedina (KSE Professor), Tymofiy Brik (KSE Professor), Yuriy Gorodnichenko (UC Berkeley Professor, Chairman of the KSE International Academic Board), Oleksiy Gribanovskiy(Researcher at the Centre of Excellence in Procurement),Yaroslav Kudlatskiy (KSE Researcher), Olga Kupets (KSE Professor), Tymofiy Mylovanov (University of Pittsburgh Professor, KSE Honorary President), Oleg Nivievskyi (KSE Professor), Olga Nikolaeva (KSE Researcher), Inna Sovsun (Vice President for Public Administration, Former First Deputy Minister of Education and Science), Ilona Sologub (KSE Director for Policy Research), Nataliia Shapoval (KSE Vice-President for Policy Research, Head of the Centre of Excellence in Procurement), Pavlo Iavorskyi (KSE Researcher).